As the population of elderly Americans grows, more and more families are considering home care for their aging loved ones. In-home caregivers can provide much-needed companionship, housekeeping and help with personal hygiene that allow older adults to stay independent and age safely in their home. Oftentimes, families turn to home care agencies to find those reliable caregivers whom they can trust to invite to their home. These agencies do the crucial work of ensuring that caregivers have the right training, screening and supervision to assist elderly adults. But with thousands of home care agencies in the U.S., it can be hard to know which ones to choose. That’s why Caring.com has once again compiled our annual list of the best home care agencies in America, based on nearly 25,000 consumer reviews for home care agencies. This year, we’re excited to highlight more than 253 agencies in 34 states that have earned top marks from seniors and families who’ve used their services. 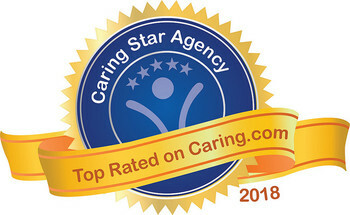 To qualify for the recognition, agencies must have 10 or more consumer reviews on Caring.com and an overall average rating of 4.5 out of 5 stars, among other criteria. Families working with these agencies can have peace of mind knowing that their loved ones are in good hands. Looking for top senior living communities? See our list of senior living community winners.